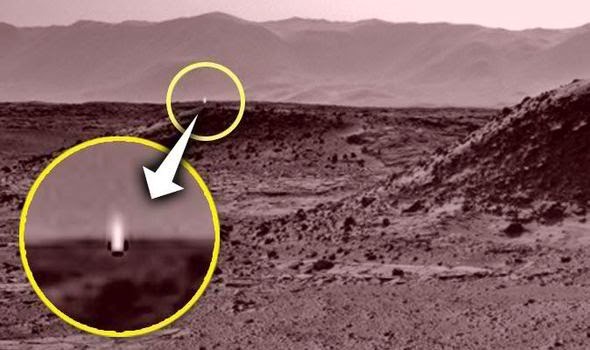 The mystery light captured by NASA has sparked fresh controversy life could be on the planet. The image which shows artificial light shining upward from the ground could indicate there is intelligent alien life. One UFO blogger Scott Waring who spotted the image wrote: "This could indicate there there is intelligent life below the ground and uses light as we do. This is not a glare from the sun, nor is it an artifact of the photo process. Look closely at the bottom of the light. It has a very flat surface giving us 100% indiction it is from the surface. "Sure NASA could go and investigate it, but hey, they are not on Mars to discovery life, but there to stall its discovery."